Reading and blogging intentions for the week of 1st May…. Wow it’s almost May. My last reading and blogging intentions post was in March and it was a mixture of failure and organisation. So I’m going to aim to do better this time around. Sunday is usually my day, which was the reason I wanted to try and do this post on a Sunday. However, today I am working it’s a busy time for us at Cancer Research. As I walked into work I am listening to my latest Audible read in Miss You. I’m really enjoying it and it’s spurred another blog post before I actually finish and review it so keep a look out for that in the next few days. My main aim this week is to make me time to read and to get all my drafts finished and published. I may also try and do a TBR post and aim to have at least made a dent in it by next Sunday. Earlier today I decided to do a poll on my Twitter account to see what I should start reading tonight. The winner was The Last Piece Of My Heart by Paige Toon which I have been excited to read especially seeing other bloggers say good things. Blurb: You’ve been held captive in one room. You’ve been mentally and physically abused every day since you were sixteen years old. Then, one night, you realise your captor has left the door to your cell unlocked. For the first time in eight years you’re free. This is what happens next. 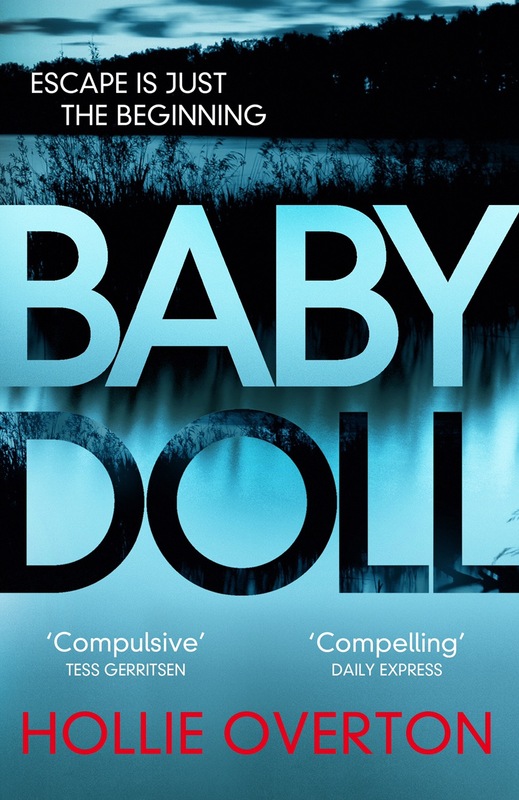 Review: Baby Doll popped up on Audible as a daily deal I read the blurb which had me hooked. I then realised that Hollie has written for one of my fave TV shows in the Shadowhunters although I must admit I haven’t watched any of season two just yet. Based on both those things I hit download and started listening on my walk to and from work. Now Baby Doll is similar to Room in the fact a young teen is captured and tortured mentally and physically oh and she is also raped and given a child who she also adores and looks out for throughout. 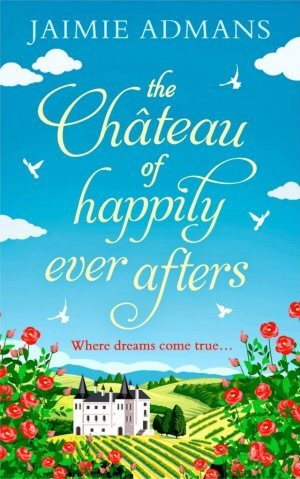 But that is where the similarities end – there are so many twists with this story and if I’m honest I’m finding it hard to review without spoiling and as a reader I want to leave you guys to discover it as I did. What I will say is Ric our captor is a disgusting man who acts like he is gods gift to women and as if he had done Lily a favour. Lily is likeable but you have to feel for her as she has missed out on and lost so much because of Ric. I loved the twists I loved the outcome and I like that in some respects it was left with you wondering on a few counts. I loved listening to this on my walks to and from work. It took me from my own worries to a compelling world where I was astonished. I look forward to reading Hollies next novel which I believe is called The Walls. What is Audible? I hear you say. I must be honest I have been thinking about and talking about audio books for a while on and off. I started an audio cd of Wolf Hall a while ago but the cd part was the problem. Audible is a subscription that allows you to listen to books and podcasts wherever you are with the app. Even if you switch devices you’ll never lose your place. There are thousands of titles to choose from in the worlds largest library. As I said above I had been thinking about this for a while and then I spoke to a few bloggers via Twitter about it and after a little more thinking I was hooked. I had been given the advice to choose a long and costly read for my first read as one it would be free and I would want to get the most out of it. Which is exactly what I did. Before choosing my first Audible read I had a few options but I kept coming back to one read in particular. Small Great Things by Jodi Picoult. I had been wanting to read this one for ages I had hinted at various family members about this book, but now I am so so glad that it was my very first Audible read. Jodi gave me Ruth’s story on many walks to and from work. For me Audible has been exactly what I needed in my life as, for a while now I have walked to and sometimes from work which has meant my reading time has slowly ceased well, that’s not totally true but walking along with your head in a book can be dangerous, so it meant I wasn’t getting as much time to read. Not as much as I would have liked anyway. Small Great Things has been hailed this era’s To Kill A Mockingbird and I can wholly see why. It has left a lasting impression on me, that will have you questioning even your own judgement. It also made me realise that nothing in life is ever black and white. People do things for all sorts of reasons and I was totally bowled over by this story and the characters. I adored Ruth from the get go and I had read the blurb so I had some indication to the story but I wasn’t expecting the many turn of events there were. Not just in the awful situation that was the starting point of Ruth’s suspension but also all the other factors that she and her family undertook in various stages of their lives and the blatant racism and prejudice that still effects society. I love that Jodi Picoult looks at hard hitting real issues and tells a story. I also loved that at the end of this audio there was a footnote from Jodi explaining how she came about this story and what her motivations were. If anything this has made me an even bigger fangirl of Jodi and I would love to meet her someday as each read of hers I have read has left a lasting effect and I think this may well be my favourite so far. As an audible addict, member, subscribing I now get one credit each month so as long as my read is worth more than the £7.99 subscription then I am laughing. I have already took advantage of four daily deals. The Color Purple a classic I have had on my TBR for ever and You Are A Badass by Jen Sincero which I have listened to twice. It’s only 5 and a half hours and as my walk to work is between 40 mins to 1 hour so it didn’t take long. It’s an enlightening read and it’s really helped me. I am almost at the end of BabyDoll by Hollie Overton which was another daily steel, which has been heart-breaking yet all encompassing. I am definitely a fan of Hollie now, and I have another motivational one to listen to at some point in How To Be Brilliant. So Jodi and Jen have enlightened and inspired me and now I am really enjoying Hollie’s debut. There are certain books that I think will forever be my walking reads now. So it is safe to say I am having lots of fun with Audible, so thank you again to my blogger friends who inspired me to get on Audible. I am sorry this post has taken forever I have literally just had to edit and add my other daily deal fun. Today is my stop on the Deadly Game blog tour and I didn’t want to let the side down, but I haven’t managed to read this beauty just yet. So I wanted to share my thoughts on the book before I have actually read it. Karen at Orenda books really does have a way of selling books to you….but getting to know bloggers and what they want in a novel. I feel so bad that I am kind of behind on her tasty treats but this one is in my hands and will be devoured. I have mentioned it before and I will mention it again until a year or so ago I wouldn’t have gone near a thriller based read and now I am well and truly hooked. Deadly Game had me sat there reading the blurb thinking oh my…. So this short and sweet post is to say this is definitely one to look out for and my review will be very soon. My work life has been a little crazy but I am working out my days and my time for me and this blog so stay tuned.